Today is a special day. It is Minecraft's Survival Mode six year anniversary! Notch, who is sadly, not working at Mojang anymore worked on Minecraft for a long time! In August 2009, Survival Mode was first introduced. It brought in a more challenging game experience with health, limited resources, and hostile mobs. Any survival enthusiast should celebrate today. Personally, I don't really play full-difficulty survival that much, I usually play difficulty easy, "Peaceful" Mode. But anyways, here are some fun facts about Minecraft's early stages! Enjoy! 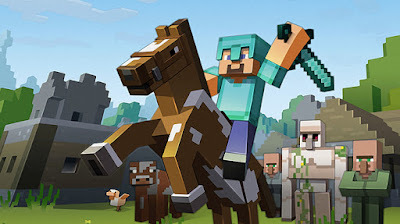 Minecraft was originally called "The Cave Game". The first 3 hostile mobs introduced were the Zombie, Skeleton, and Creeper. There was no mining animation, so it looked really, really weird, and you couldn't see your hand. Notch accidentally created the creeper when he was trying to make the pig. Pigs were the first passive mobs. There was no crafting in the game yet. It was basically just seeing how many resources you could get, and how long you could survive, but that was it. There was no day/night, so hostile mobs could spawn anytime, in huge packs, and you couldn't fight back, since that wasn't yet implemented, it made it a lot harder. When you chopped down trees instead of getting logs, you got randomly different colored planks. Why are you still reading this? Watch the gameplay video below to learn more!